Pastidip’d my wheels today. Thank you to whoever posted the index card trick. Way better then taping it. Came out pretty good but no before pictures to show. I did leave the center cap untouched. What size wheels are you running? Are you lowered? Spacers? Over the past couple weekends, I tried my hand at plasti-dip. Results turned out pretty good IMO. I went for the "blacked-out" look. The best part is I can easily remove it all if I get tired of it. 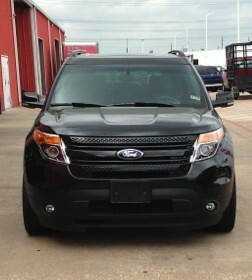 Dipped: Roof rails, door handles, lower door trim, grill chrome, rear Explorer chrome bar, Limited lettering, wheels. 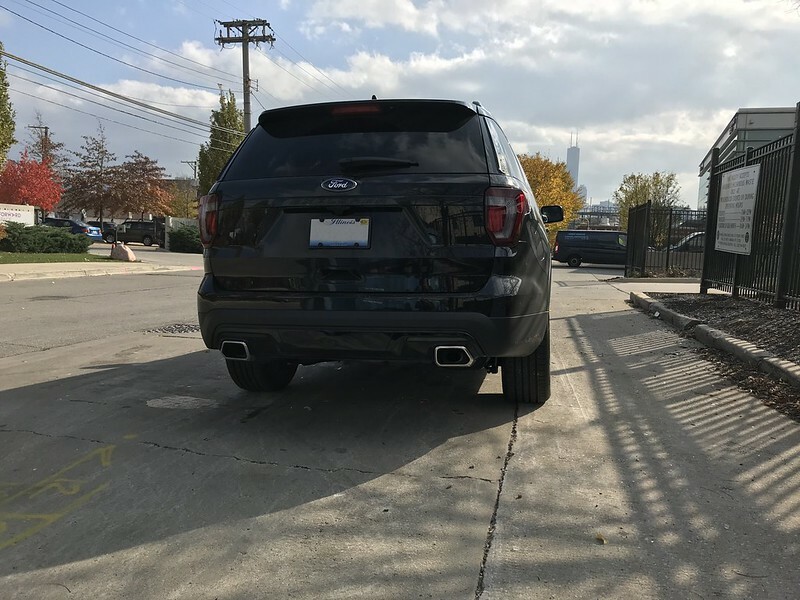 SickSix, do you have any photos of your Explorer outside? Love the look...may go this direction on mine...just worried about the wheels getting knicked up. 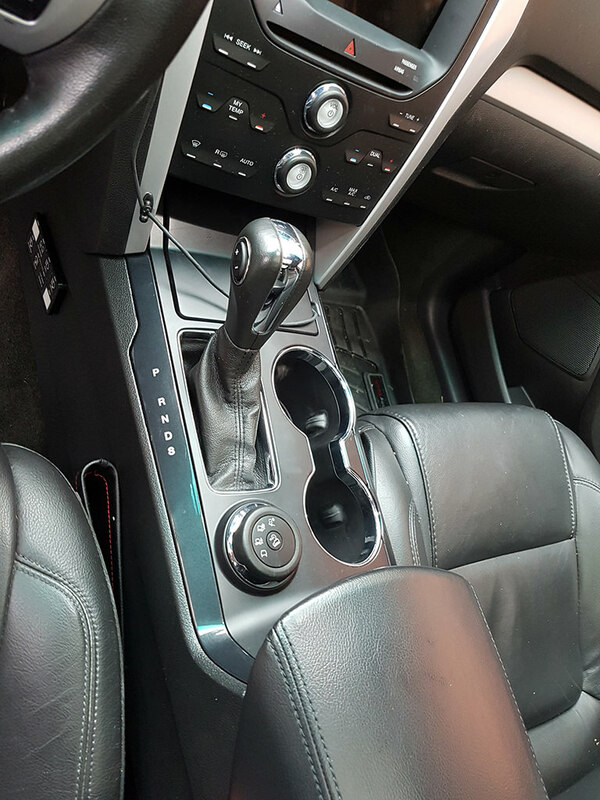 I posted this a while ago, wanting to put a 2016+ center console on a 2012 (better cup holders, the Sync3 USB port part actually clicks in, it's prettier...). I researched the heck out of it, comparing everything, and I just couldn't find any difference in them. In the end I decided to throw money on it and I got one from a wreck on Ebay (has a few scratches, but so did the old). First, I took out the old console. 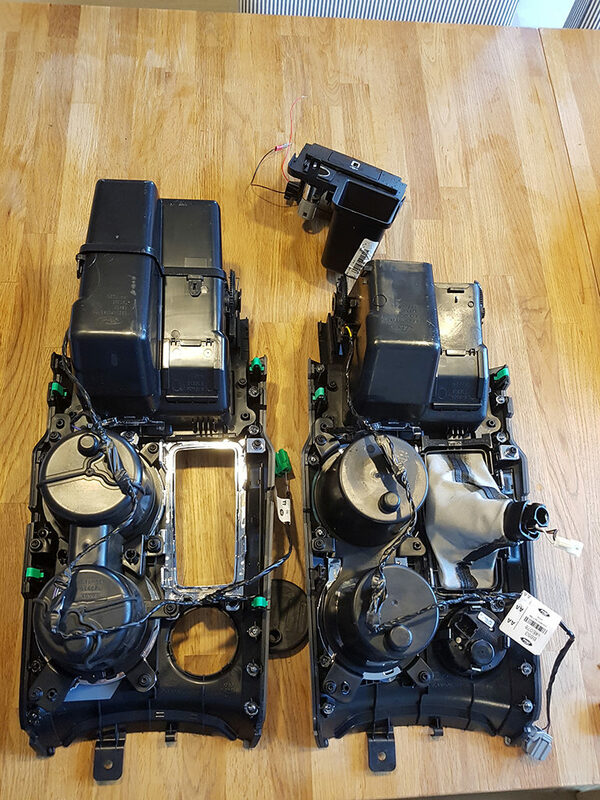 There's an Ebay video that helps where the guy rips apart the whole center console, but it's pretty easy getting just the top part off. 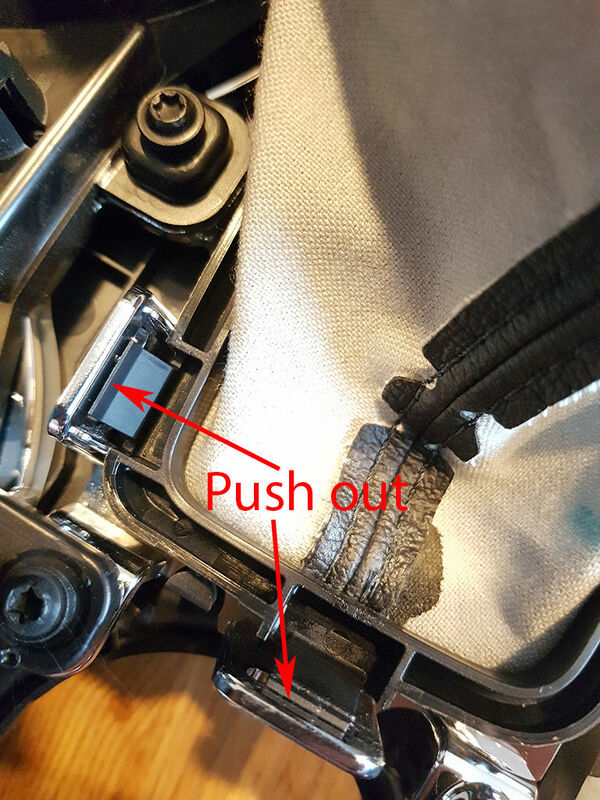 The "hard" part is the 2 screws holding the shifter (hard because of limited working space). 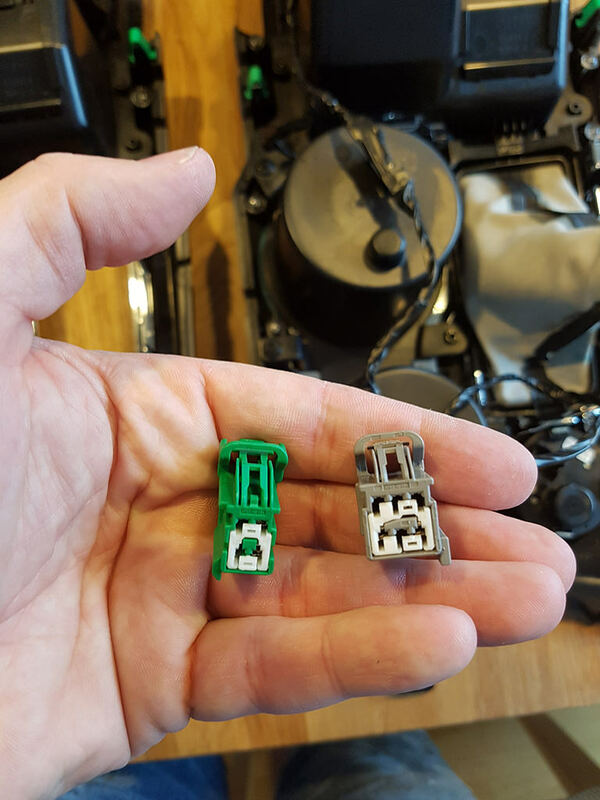 However, the entire harness is actually exactly the same in every way, except for that connector. So I took the old harness off and moved it to the new console. .. on all sides, then click it in on the new console. The dial for drive modes is the same concept, it has 4 things that you push in and push it out, then click it in on the other. After about 10 more minutes.. Final result. Sure, "M" is now "S" but that doesn't matter to me. In retrospect I probably would've bought a scratchless one (brand new one), but I didn't know if it would fit at all so I didn't want to throw a lot of money on it in case it didn't. - Grippy cup holders and that center bit in the cup holders (that I honestly don't know what it's for, but more space is always good). - Sync Cover has a nook in it for a cable to come out so that it can still close, old one didn't. - My old 12V cover was broken, this one isn't. - Doesn't say "Microsoft" on the sync logo. 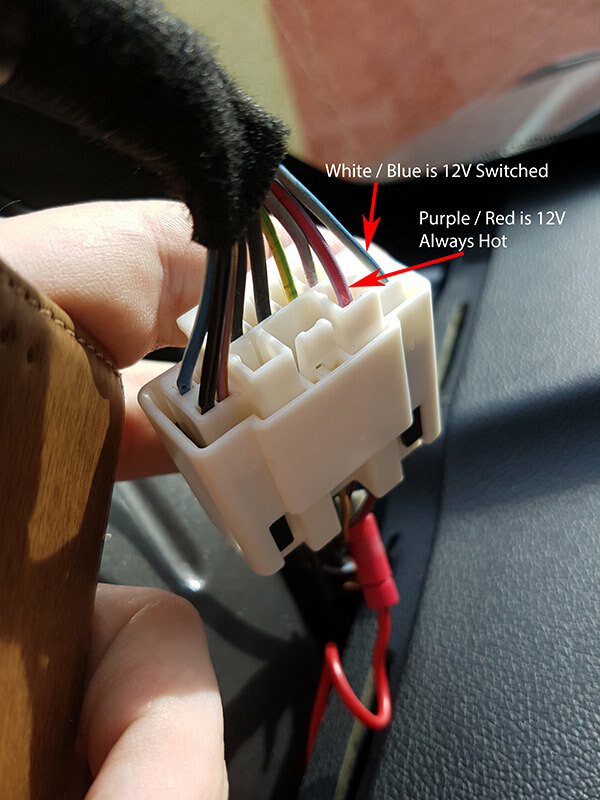 If anyone is contemplating the same switch and wants more info on anything, let me know. Fits perfect in the wheel well. This was @ken60631 original set up. Thanks for his inspiration. Looks great. Thanks for the info. Its my next move for sure. Just wasnt sure if I needed the spacers any longer. Finally pulled the trigger and ordered the Livernois tuner and 3bar MAP. Excited for it to get here! You won't regret it, that's for sure. Here they are 22x9.5 DUB S109 with 285/35/22 tires. HID headlights, HID fogs, VG shark fin. 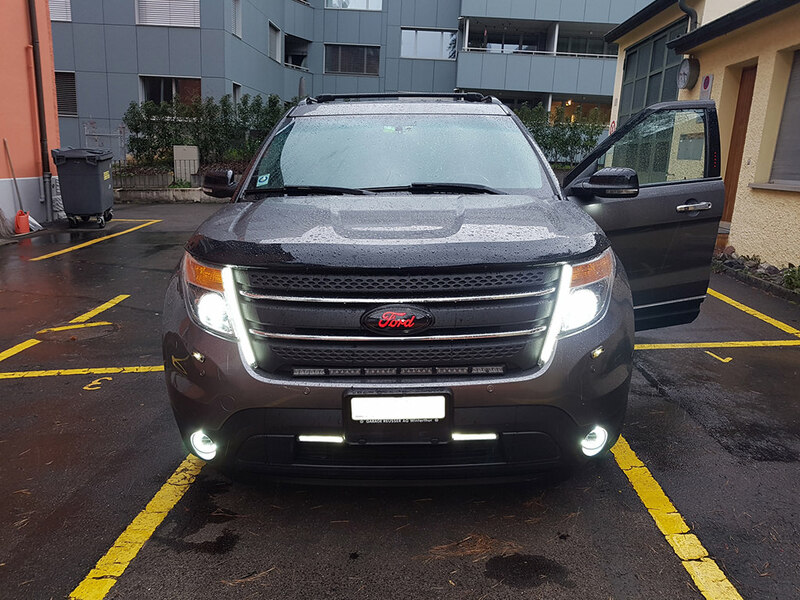 What did you go with for the HID fogs? This was over the last few weeks. But changed out all the interior lighting, license plate, and high beams with LEDs. Debadged the rear hatch. 30% ceramic tint on the front windows. Smoked reflectors on rear bumper. Did some changes with Forscan. So far, so good. Even though it's the slowest car in the stable, it gets the job done. Trying to figure out if I powdercoat the tailpipes when I take the stock wheels in to get them powdercoated gloss black. 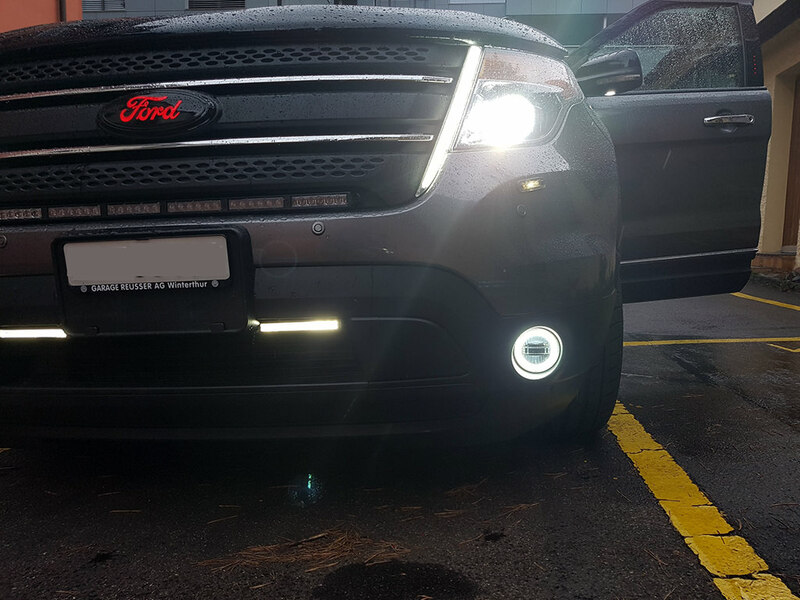 Installed new 3-light type fog lights that do DRL (ring), fog (yellow half), daylight (other half in white). Safe to say, I'm done with the front lights :-D (I can control all of them from a switch panel, including logo). Added EGR running boards this weekend. Makes accessing the roof rack much easier and I like the factory look. Just got them done. Thanks to SIGNS EXPRESS TEXAS. Great job!!!! 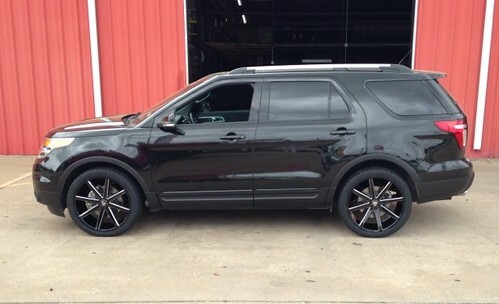 I don’t know why people do the completely blacked out Ford ovals. Looks really tacky and cheap. To each his own, I guess. Black with white lettering would looks so much better. Even the ones with colored lettering look awful. Everyone has their opinion... you can read my opinion on opinions in my signature below. This may be a deal maker for me. I don't have a sunroof on my '13 XLT but want to install a cam close to the mirror. 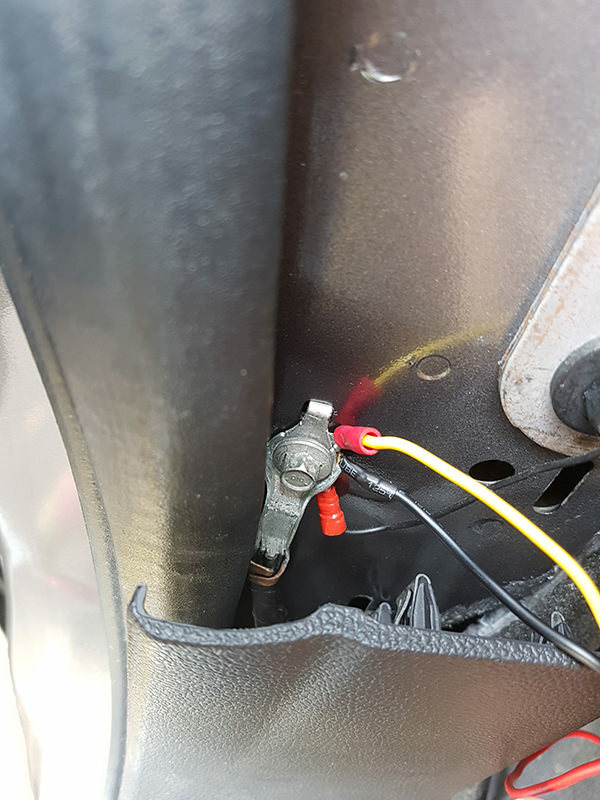 I didn't want to try to route the power cord all around the windshield to a power source behind / below the dash. Your tutorial has renewed my interest in doing this. Thanks.